The leaked Ice Cream Sandwich for the DROID RAZR that came out over the weekend has given us a view of Motorola’s new “Webtop 3.0 beta.” In previous versions, Webtop offered one of the most frustrating laptop-inspired experiences you could find. It was a nice idea in theory, but after a number of failed attempts to deliver an experience that could actually replace a laptop, Motorola seems to have completely changed up their strategy. 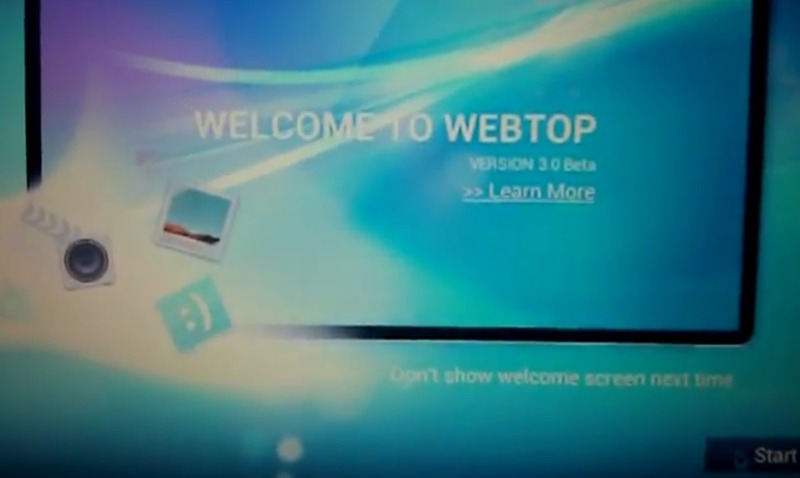 In a video posted to Youtube of a RAZR running the leak and then docked to a Lapdock, we can see that Webtop has essentially become the tablet UI version of Ice Cream Sandwich. It’s similar to what we saw with Asus and the Padfone. Since Android 4.0 was made for any size screen, all you need is a switch of sorts to toggle the phone UI to a tablet UI. That is apparently all that Moto is doing now in 3.0 beta. Through this brief clip, you can see that the mini-phone view on the left side is gone, Firefox is no longer the default browser, you have an app drawer, notifications in the bottom right, navigation buttons in the bottom left, and everything else you would expect from a tablet experience. To get a better understanding of what we mean, jump past the break. CyanogenMod Team Chooses New "rAndy" Mascot - Do You Like It?